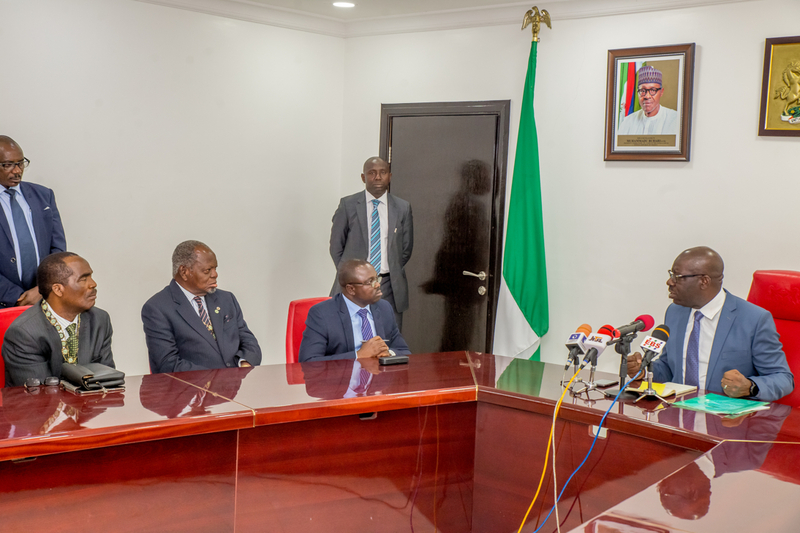 Obaseki gave this charge when he received members of the association, led by its state Chairman, Mr Anthony Ekhator, at The Government House in Benin City on Wednesday. On the purpose of the visit, the Chairman of the institution, Mr. Anthony Ekhator said the visit was to seek collaboration with the government in restoring the land, river and air assets of the state. The governor also expressed strong disapproval for granting of illegal authorisation by surveyors to erect structures in dangerous locations, and urged the association to ensure it keeps to maximum standards. “There are people building under high tension lines with series of approval from your professional colleagues saying it is okay. We have to look inward. “I have a case where we refused to approve a plan for someone to build a petrol station in a housing estate, but immediately the Adams Oshiomhole-led administration was over, the person smuggled the application back and got approval. When we perpetuate this level of corruption, we are hurting ourselves”, he said. However, the governor also noted that it is the collective responsibility of both the government and the other citizens of Edo State to build the state because the government has the capacity and interest to make the state work again. Governor Obaseki also noted that his administration was ready to re-direct things in the state and was currently mapping out landmarks to produce a state masterplan. He said, “We need to draft a law to put clarity on mapping and Geographic Information System. We need the data to develop a master plan and attract businesses to the state. We have the will but we need your professional support to set the standards and get things done rightly”. In addition, he granted invitation to the association to attend a workshop organised by the state government on infrastructure and town planning. Ekhator, praising the governor for the steps taken so far to industrialise the state noted that the association was ready to collaborate to improve the internally generated revenue of the state. He however suggested the creation of satellites towns and estates to help decongest the city centre.